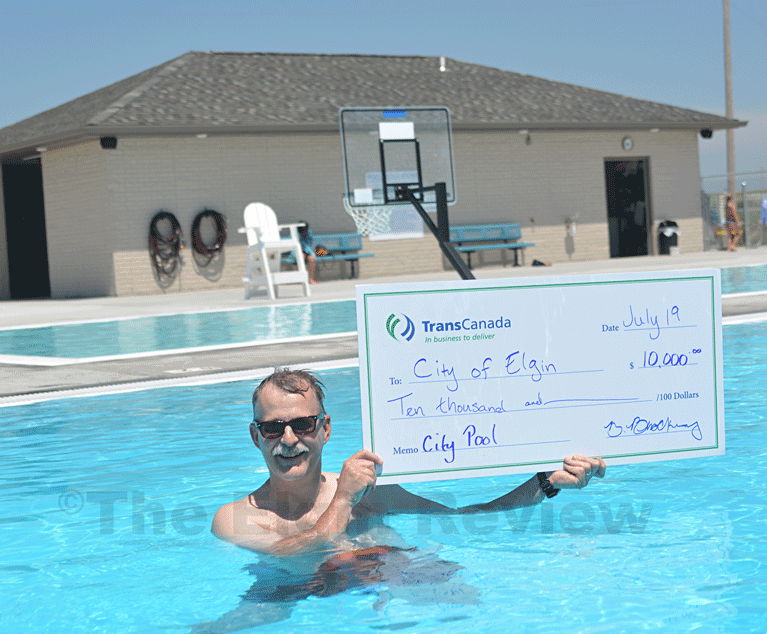 Robert Latimer, senior advisor for government & external affairs, takes a dip as part of the check presentation. E-R photos. 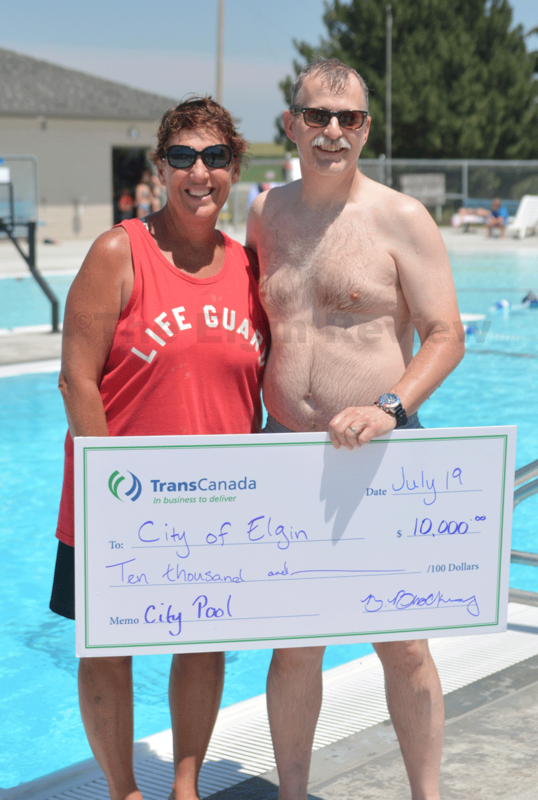 Two representatives from TransCanada were in Elgin Wednesday afternoon to make a check presentation — a large check presentation — to the capital campaign for the new Elgin Swimming Pool. 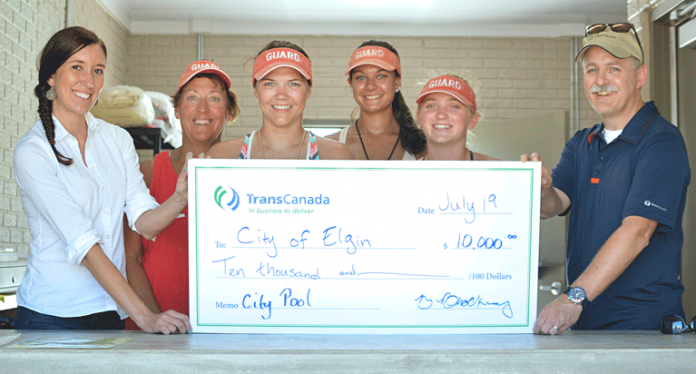 Robert Latimer, senior advisor for government & external affairs, and Brittany Brockway, community relations specialist with TransCanada presented a $10,000 check to Pool Committee member Sue Vanis and lifeguards Grace Henn, Baylee Wemhoff and Hayley Stamp. Latimer then donned swimming trunks and took a quick dip in the new pool. Donations continue to be accepted for the capital campaign. If you are interested in making a donation, contact Elgin City Hall.